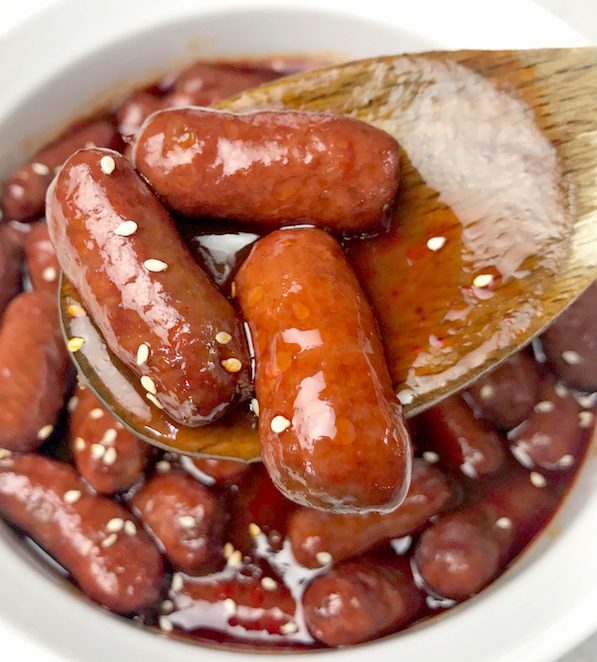 Little Smokies cooked in an Instant Pot for a quick game day and holiday appetizer. 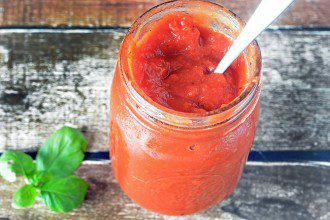 Think barbecue sauce, honey, brown sugar and flavor. This is a crowd favorite. 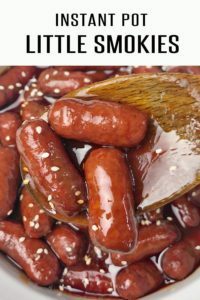 Ladies and Gentleman……THIS Instant Pot Little Smokies recipe is what we’re going to be grubbing on all summer. 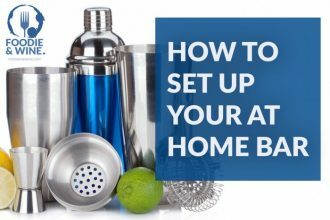 This favorite summer and game day appetizer just became even easier thanks to one of our favorite kitchen appliances – the Instant Pot (This is the model we utilize). Instant Pot recipes are our “go to” when we want to set and forget. And who doesn’t love a good Little Smokies recipe? Little Smokies have been a staple in many homes for good reason, but why take up precious space in the slow cooker or stove top when you have an Instant Pot to utilize. Plus, I don’t want to wait hours to grub on these little gems by making them in the slow cooker. Do you? Didn’t think so. On holidays I pop these in the instant pot so they’re ready to go when the first guest arrives. They never last long so I’m able to clean out the insert and move on to my next game day appetizer. Feel free to utilize whatever barbecue sauce you prefer. We dig the Sweet Baby Ray’s Sweet & Spicy variety, but a honey or basic flavor will still be fantastic. Our beer of choice has been 10 Barrel Apocalypse IPA, because it’s popular around these parts, but any Lager Style beer will get the job done. One minute doesn’t seem like a long time, but little smokies come pre-cooked. You just have to warm them up which is what this recipes does without causing them to burst open! 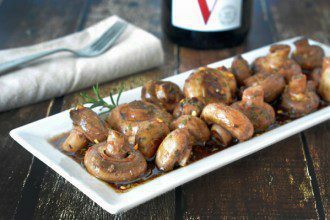 Little Smokies cooked in an Instant Pot for quick game day and holiday appetizer. 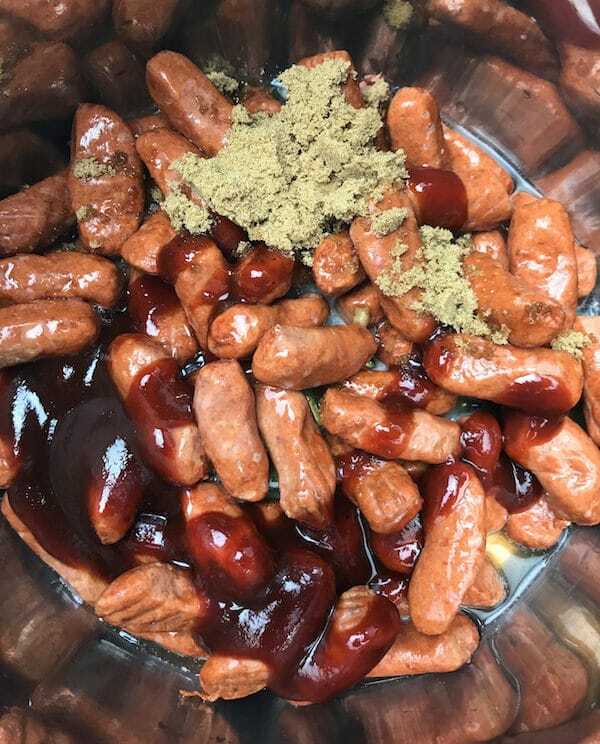 Place the sausages in the Instant Pot. Add the barbecue sauce, brown sugar, vinegar, honey and beer. Stir to combine. Set the Instant Pot to low "Pressure Cooker" status for 1 minute. Once timer goes off, natural release for 5 minutes. OPTIONAL: To thicken the sauce, turn the Instant Pot on to "Saute". Cook and stir for up to 5 minutes to your desired thickness. 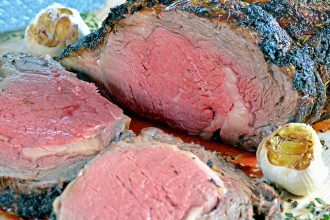 Serve immediately or turn Instant Pot to "warm" to keep warm until ready to serve.